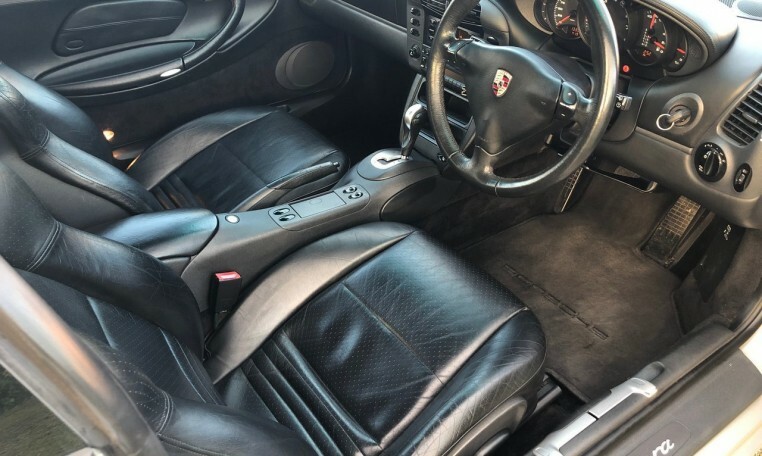 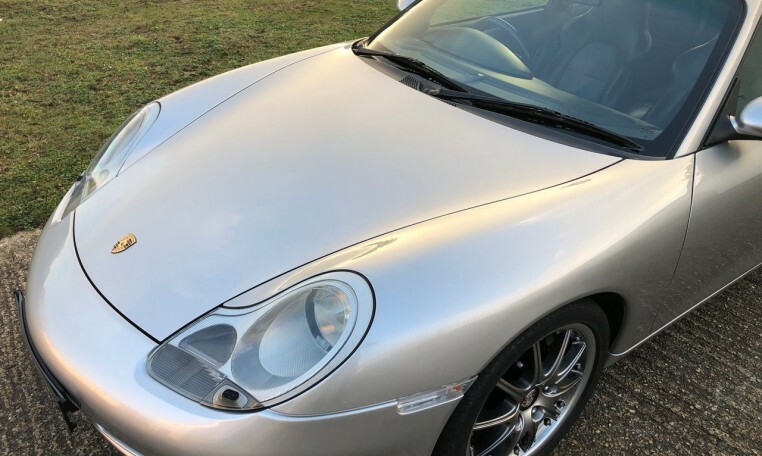 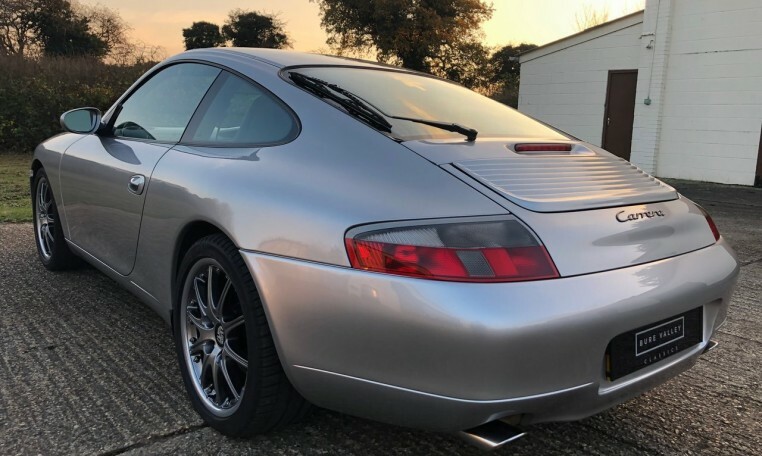 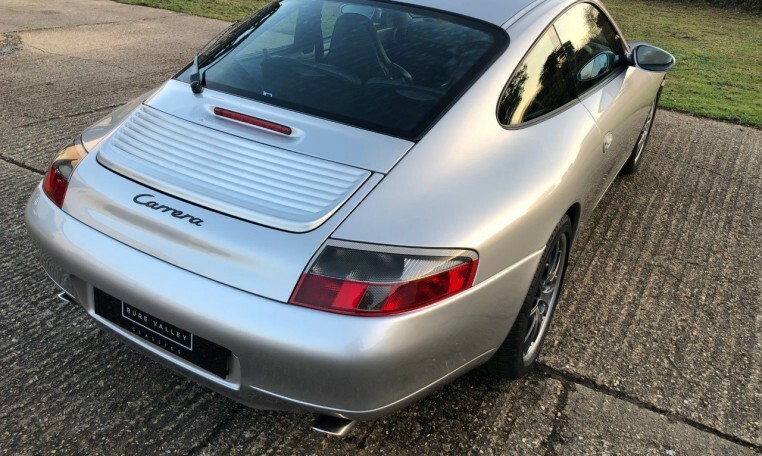 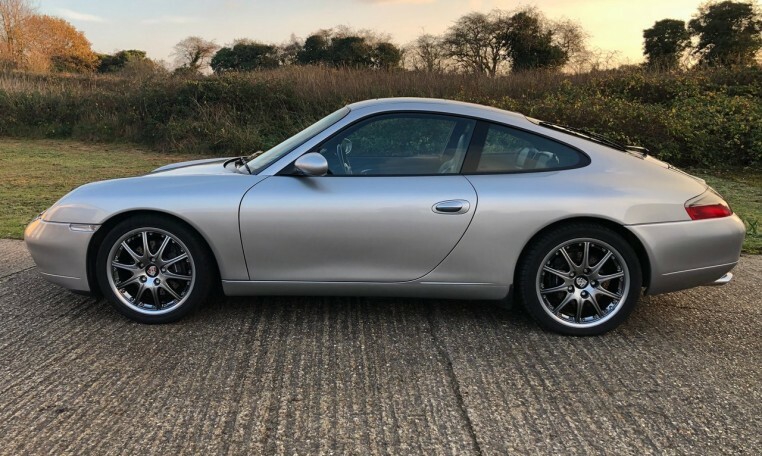 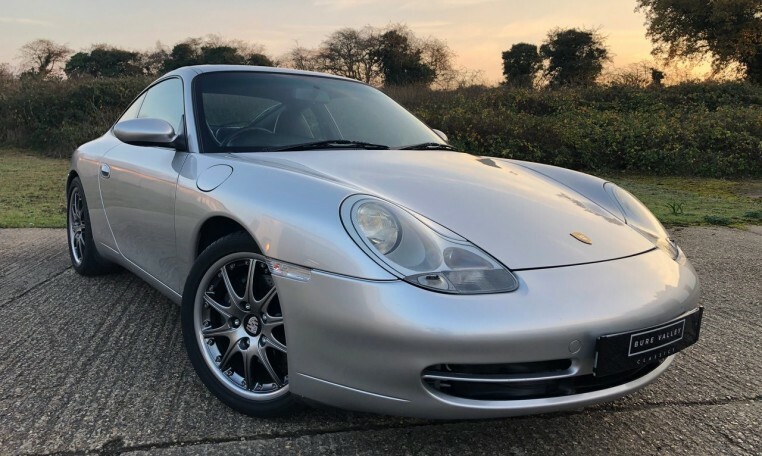 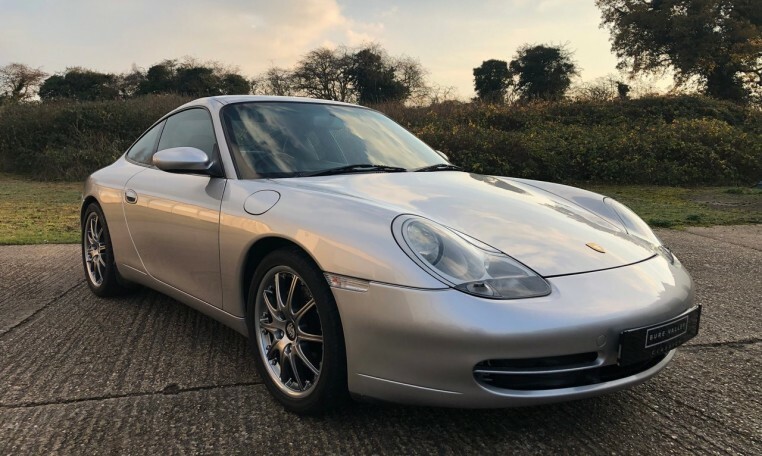 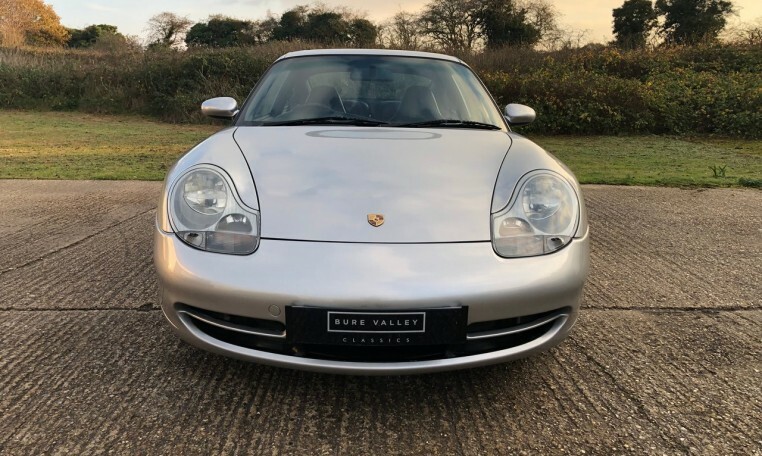 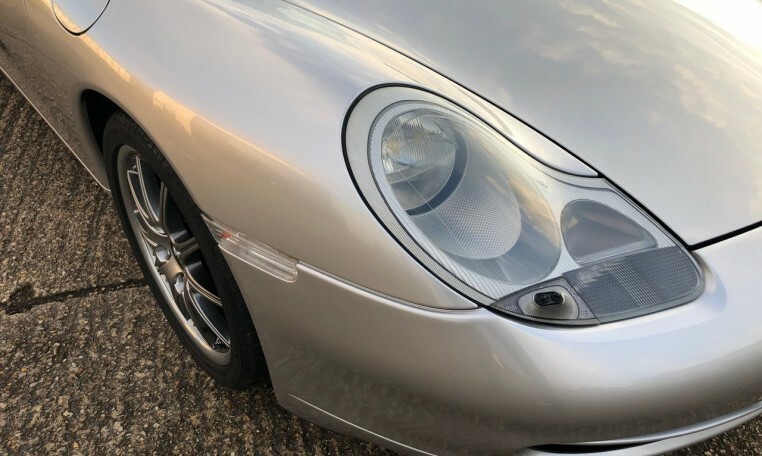 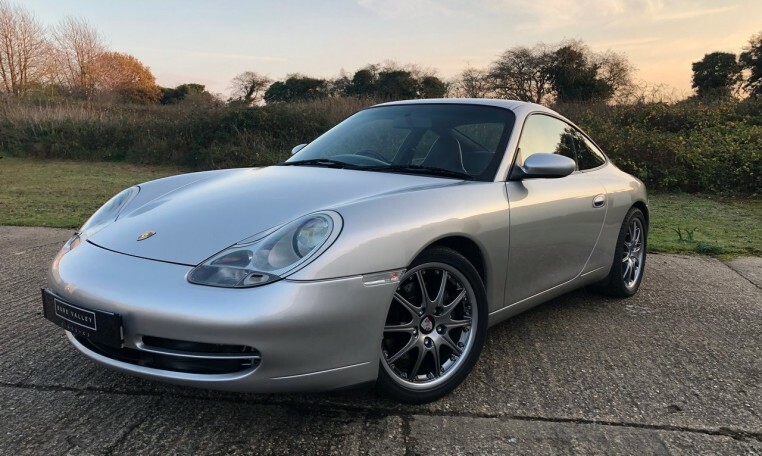 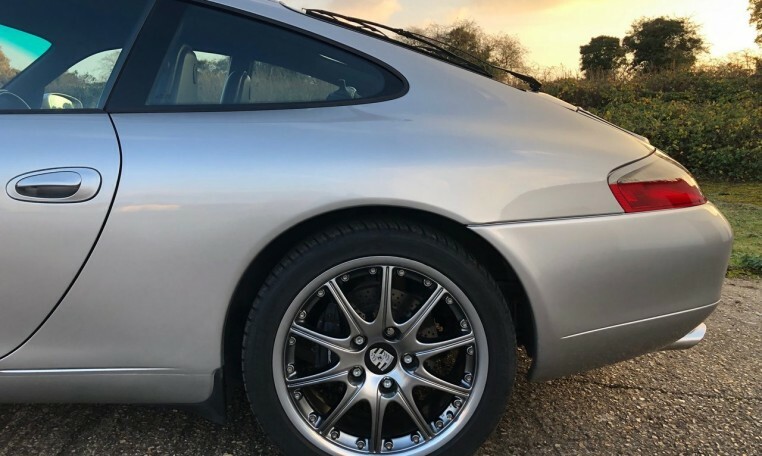 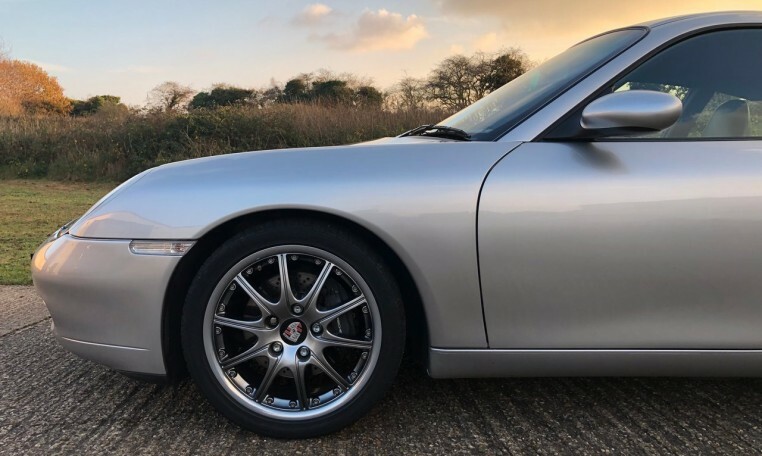 Supplied new by AFN Ltd in Surrey on the 5th March 1998, this 996 Carrera Coupe still looks fantastic in its Arctic Silver metallic paint & Black leather interior. 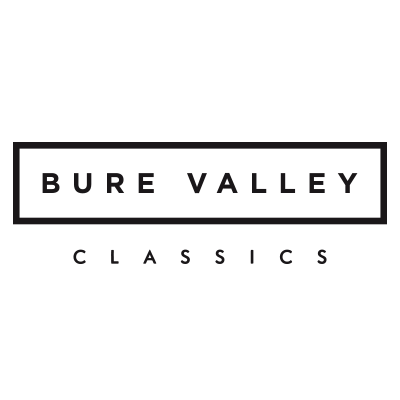 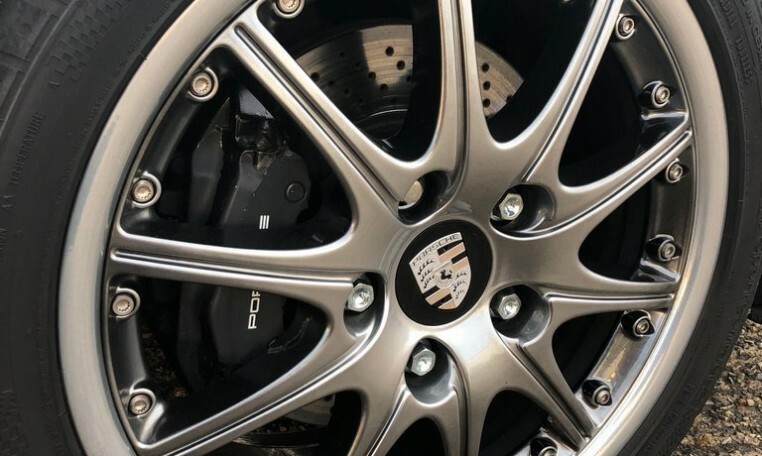 Supplied with full service history with 16 stamps in the service book, all Porsche main dealer or Porsche specialists. 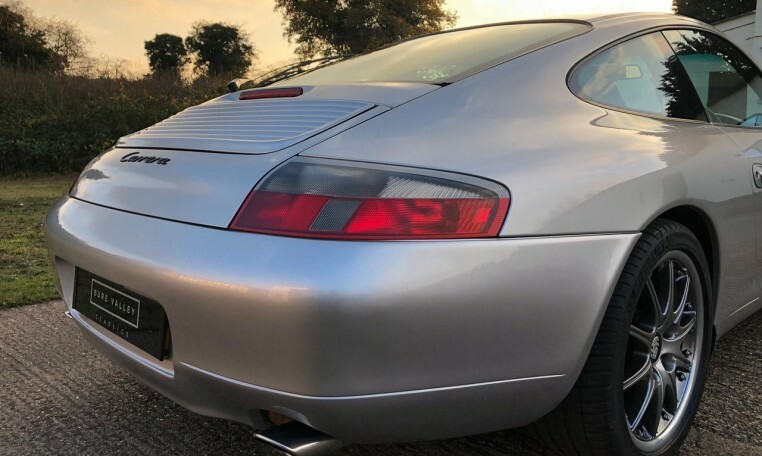 The car drives superbly & has obviously been well cared for by its 6 past keepers, with every working as it should. 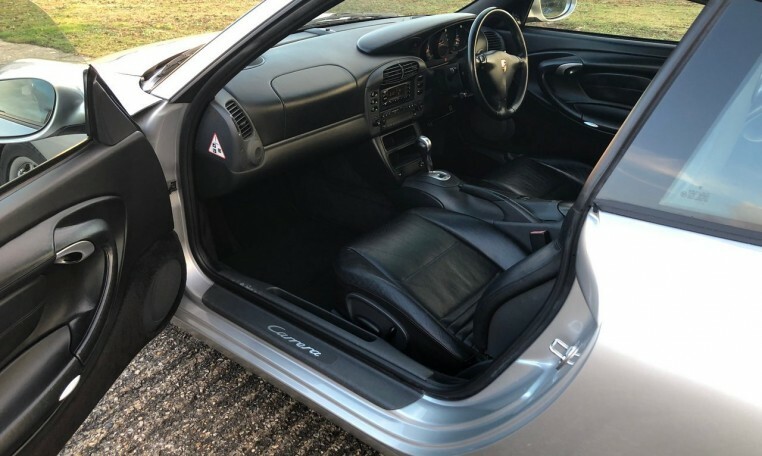 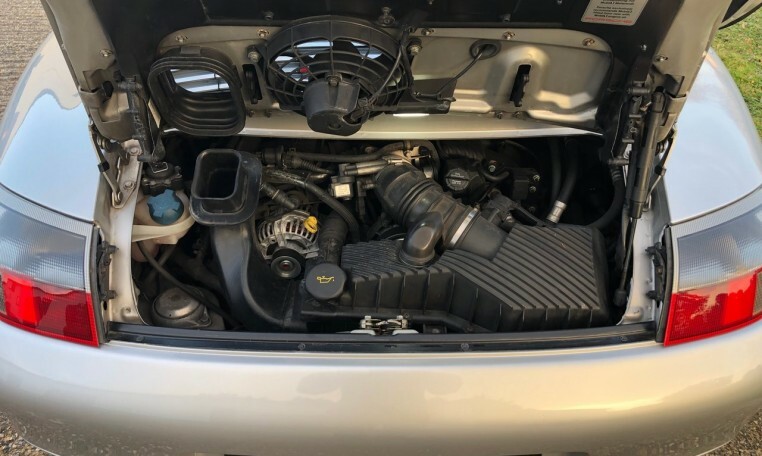 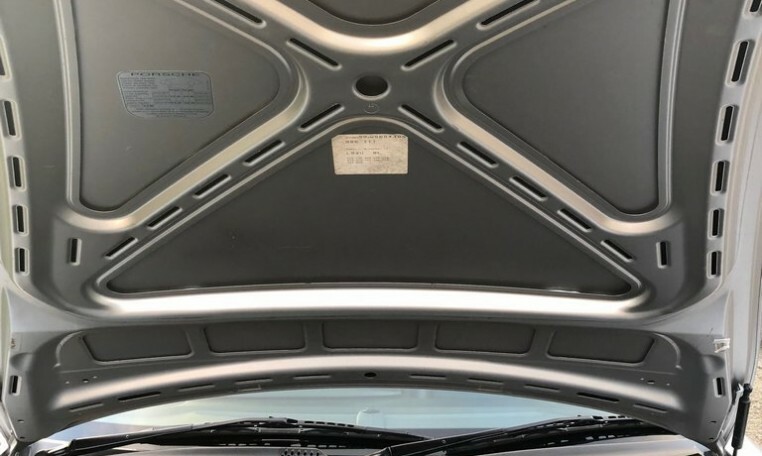 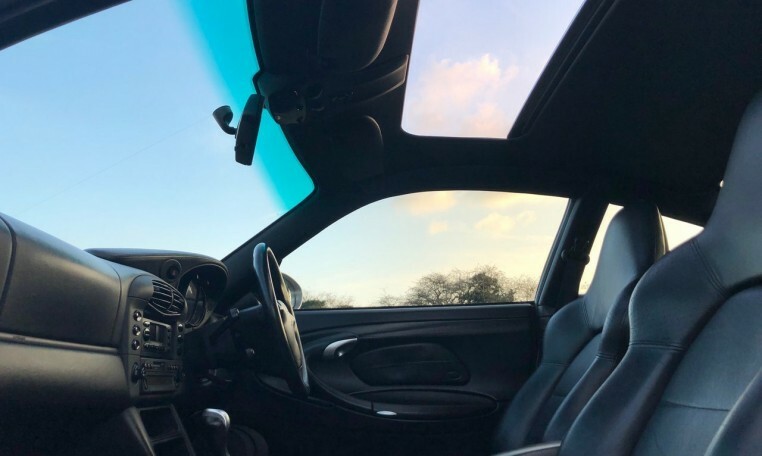 The tiptronic gearbox is smooth, brakes are great, AC blows cold, there is no smoke or unwanted noises as you would expect from a car that has been so well maintained. 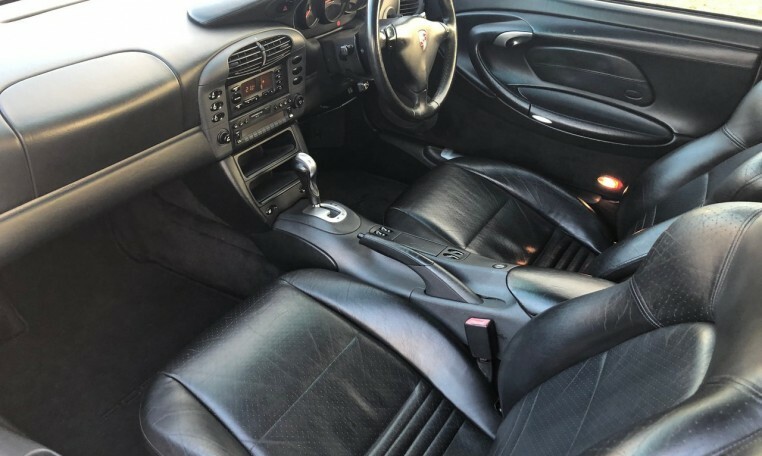 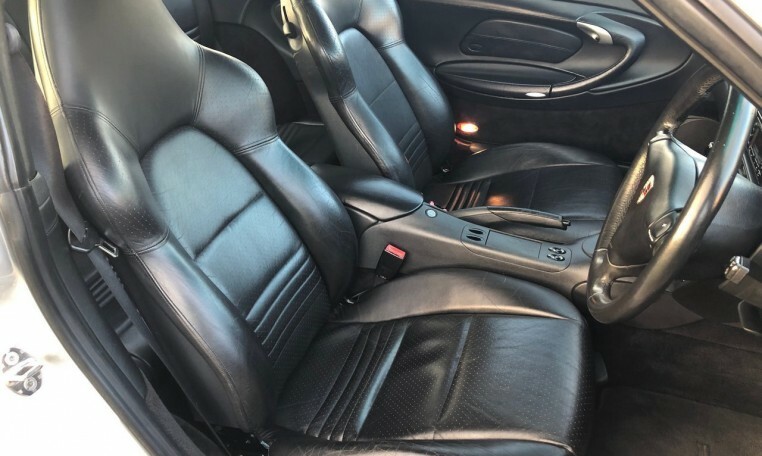 The paintwork still presents very well and the interior is also still in great shape with no nasty wear to the seats but just some small age related marks around the handbrake and centre console. 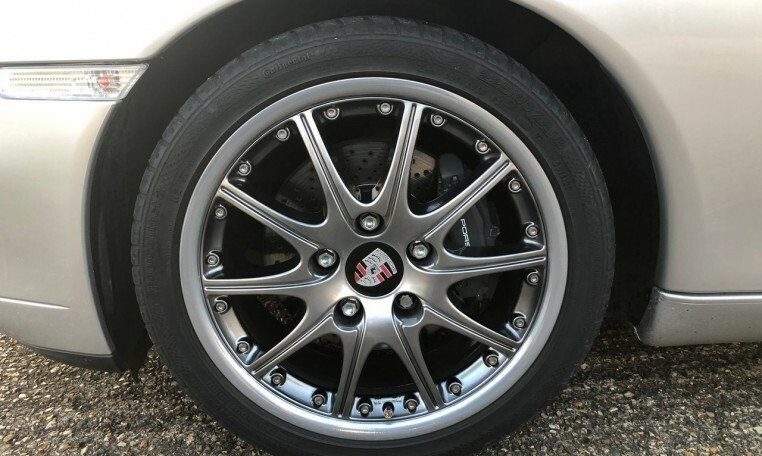 The immaculate 19″ split rim wheels have recently been refurbished and set the car off very well. 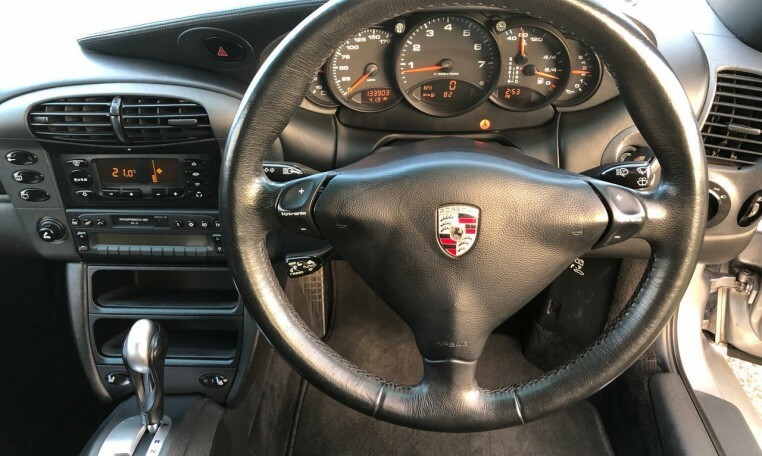 In addition to the service book, the original book pack & drivers manual is also present, along with all past MOT’s & a stack of invoices an inch thick. 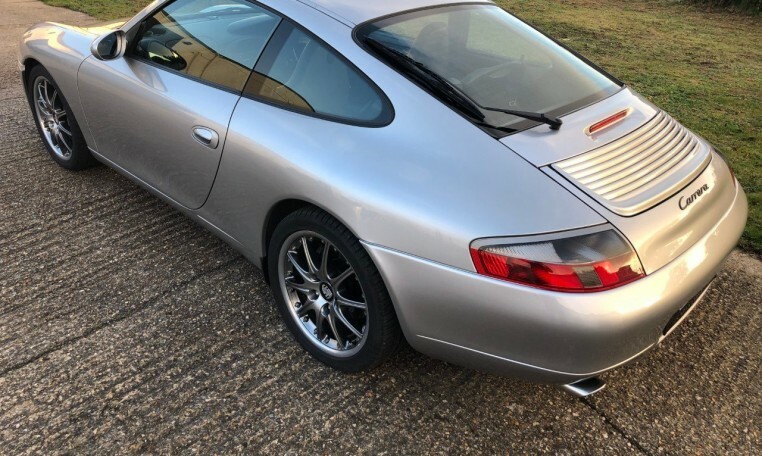 Recent work carried out includes a major service at 129K miles, new alternator last year, new water pump, new condensers in 2016, a new Dansk SS Sports exhaust also in 2016, serviced for many years by Cridfords Porsche specialist in Surrey with an assortment of invoices from work carried out there. 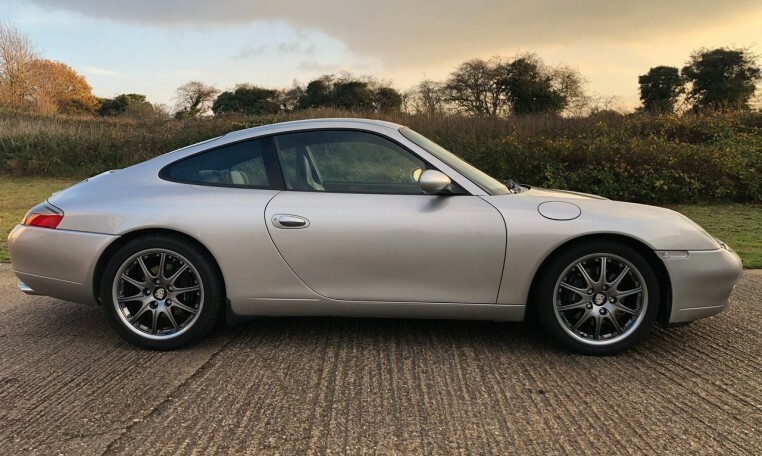 Overall a well sorted 911 representing amazing value at this price. 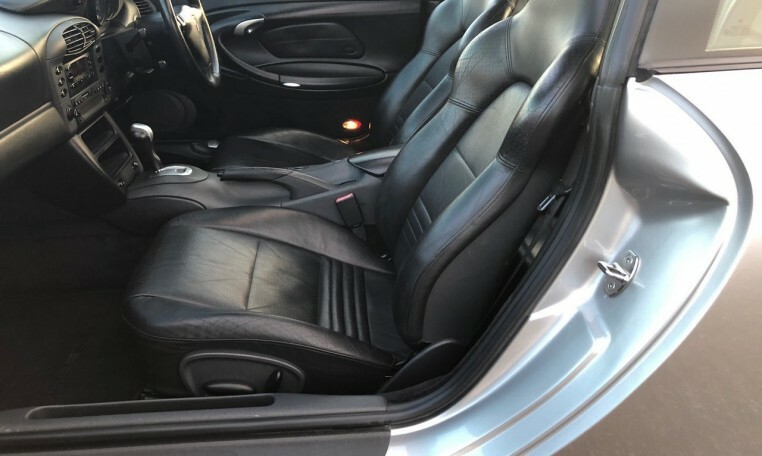 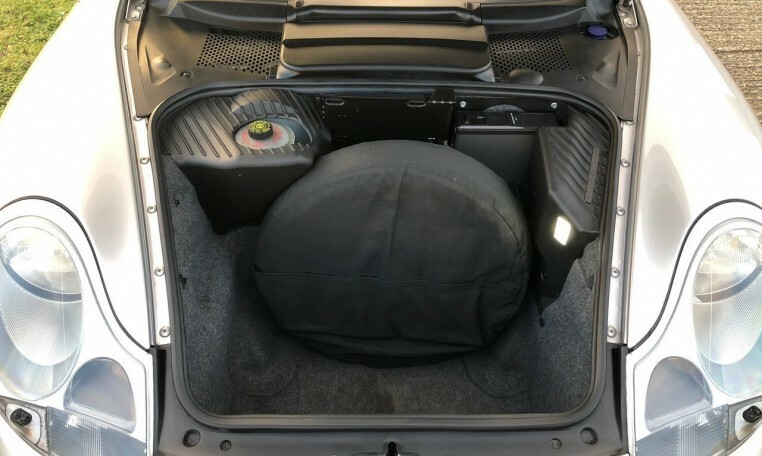 Heated Seats, Leather Sports Seats, Tiptronic S Gearbox, Headlight Washers, Sun Roof, Electric Windows, Sound System, On board computer.